Last year in May, I went to Paris for 48 hours. It was my first time where it was raining almost all of the time. I really wanted to dive into Montmartre a bit more, but due to the cold, wet weather that was not really the best option. Despite the weather I had a pretty fun weekend! I’ve done a lot of new things and visited a lot of places I hadn’t been before. 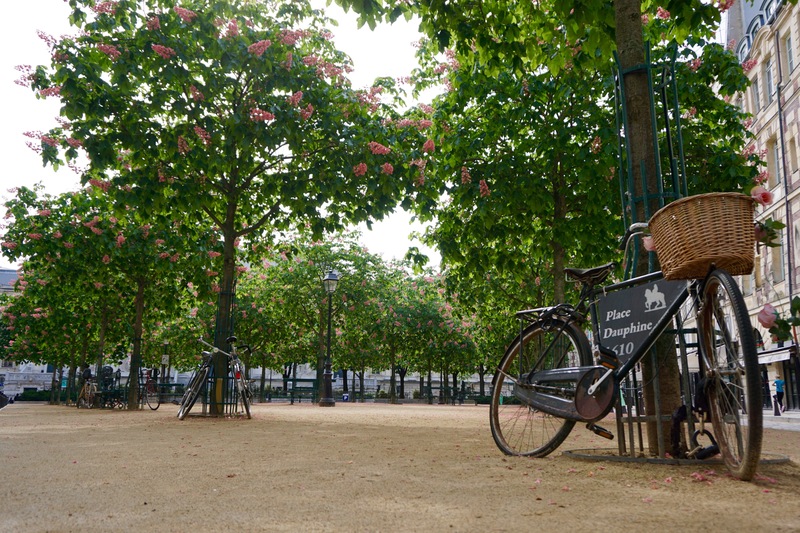 Aside from all the touristic attractions, here is an overview to inspire you with things to do in Paris when it rains. 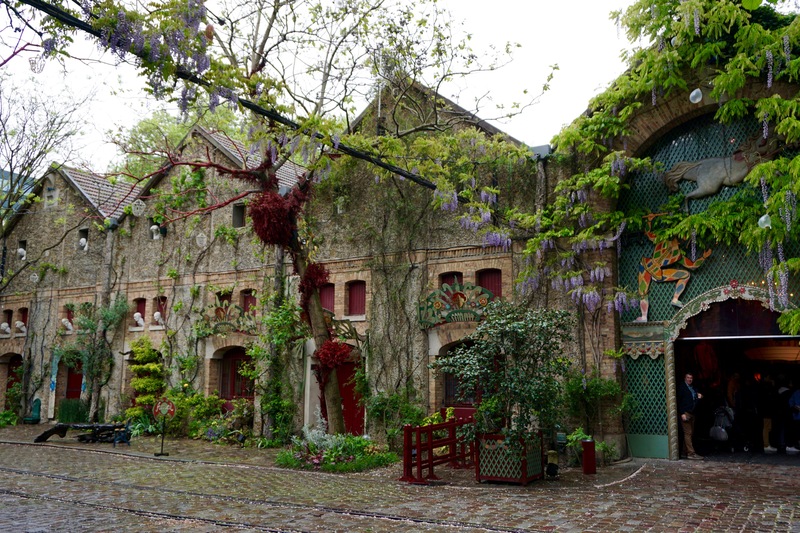 This neighborhood is considered to be one of the more upper class neighborhoods of Paris. This is also the reason why I never gave this area much thought before. However, this is the perfect place to discover when it rains! Step inside the beautiful Eglise Saint-Germain-des-Prés for example, which is surprisingly colorful inside. There’s also the Saint-Sulpice, best known for its role in The Da Vinci Code. The rose line, which leads to the holy grail, ends in this church! Notice the gorgeous square in front of the monument as well. Especially, in May, when fresh flowers are blooming on the trees. Wander around in the streets of the neighborhood as well. Art lovers and fashionistas will love it here! Personally, I really enjoyed Rue Guisarde. It reminded me of Temple Bar in Dublin somehow. 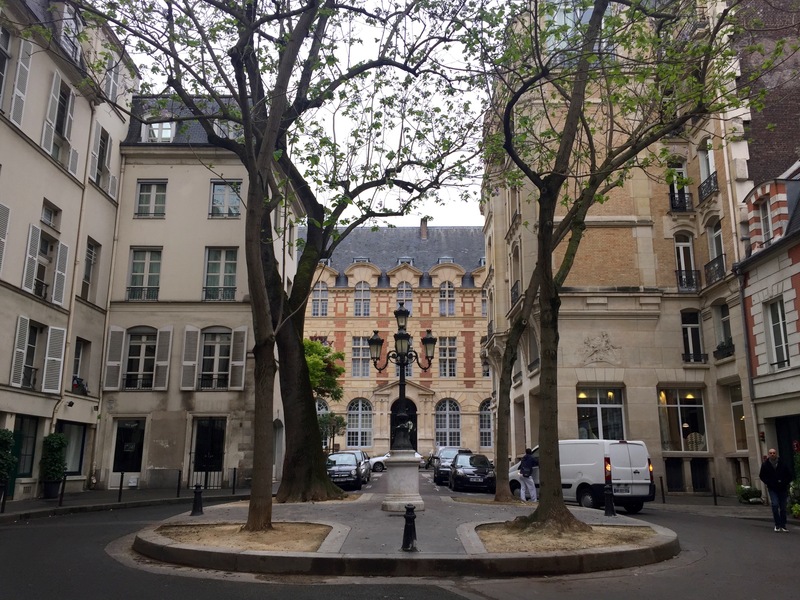 Make sure to stop by Rue de Furstemberg as well, which ends at the oldest roundabout in Paris: Place Furstemberg. Coincidentally, I bumped into Hôtel Monnaie deParis, the money museum, where an exposition of an Indian artist called Shubodh Gupta was taking place. He uses everyday objects from the Indian kitchen and streetscape in his work. The main eye-catchers were the skull Very Hungry God and the People Tree. Both were made out of the typical stainless steel tools from Indian kitchens. It was all very clever and I liked that I could understand the work at a deeper level because I have been immersed so deeply into the Indian culture myself. Finally, if it’s raining hard, go “hide” in the local Harrods of Paris: Le Bon Marché. The iconic stairs you may have spotted in the newest music video of Stromae, who is also selling his exclusive clothing line here. For lunch I had a delicious sandwich from the food department in the department store. The Pavilions of Bercy consist of four halls. 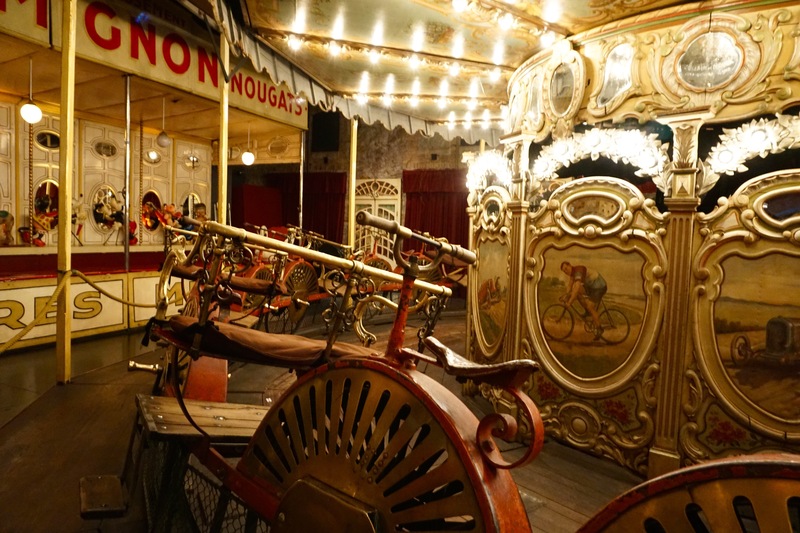 They used to serve as wine storage, but are now home to authentic fun fair rides from the nineteenth and twentieth century. 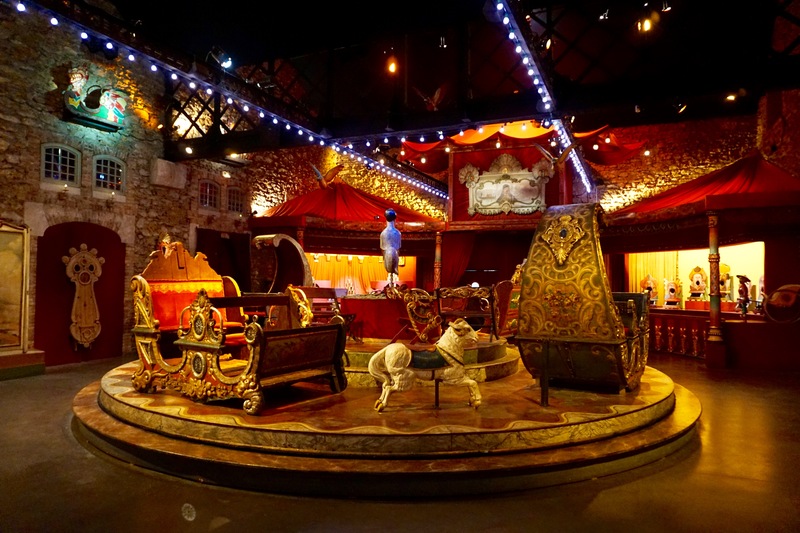 The fun fair museum of Paris is an event hall with space for 40 to 4000 guests. You can visit the museum as a tourist for €16 per adult (May 2018). Beware you have to make a reservation ahead of time! You can only visit the museum with a guide. A group consists of 25-30 people. This is a bit much, considering that not everyone can participate in all the attractions. 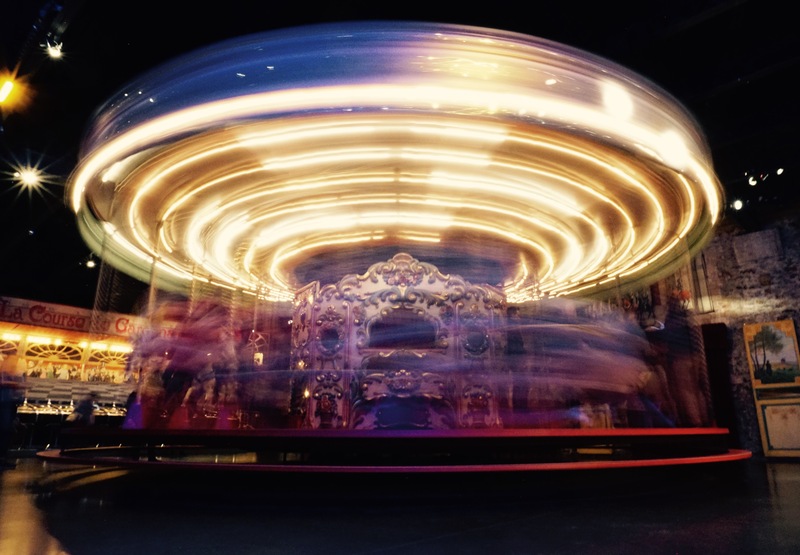 Did I even mention you can actually test out the rides? How cool is that! Especially due to the bad weather, this was the ideal activity during the rain. It’s nicely warm inside and the dimmed lights make you lose track of time. Nevertheless, I think visiting the museum during a sunny day will be a whole different experience as well. I assume that the little houses on the roads connecting the halls will be open and involved in the experience as well. 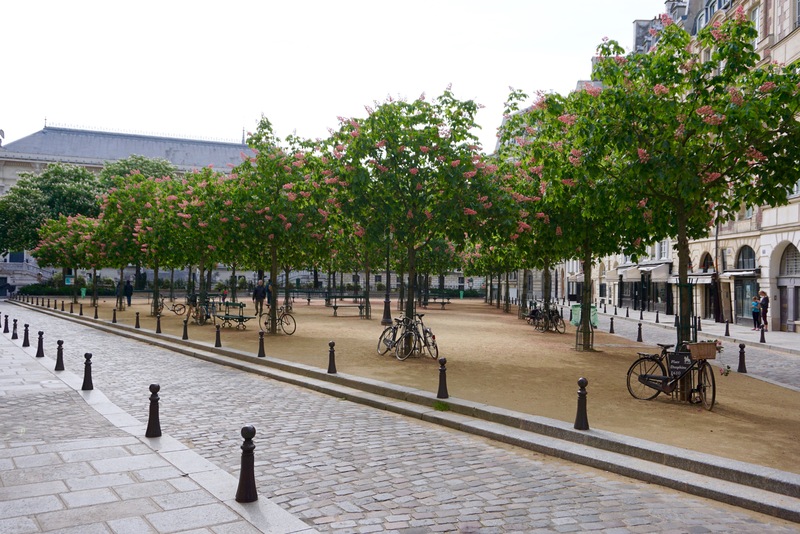 Especially known for the Place des Vosges and the Jewish neighborhood, many others like me have visited this area as a must visit tourist attraction. It’s so much fun hopping in and out of shops – perfect for when it rains if you ask me! 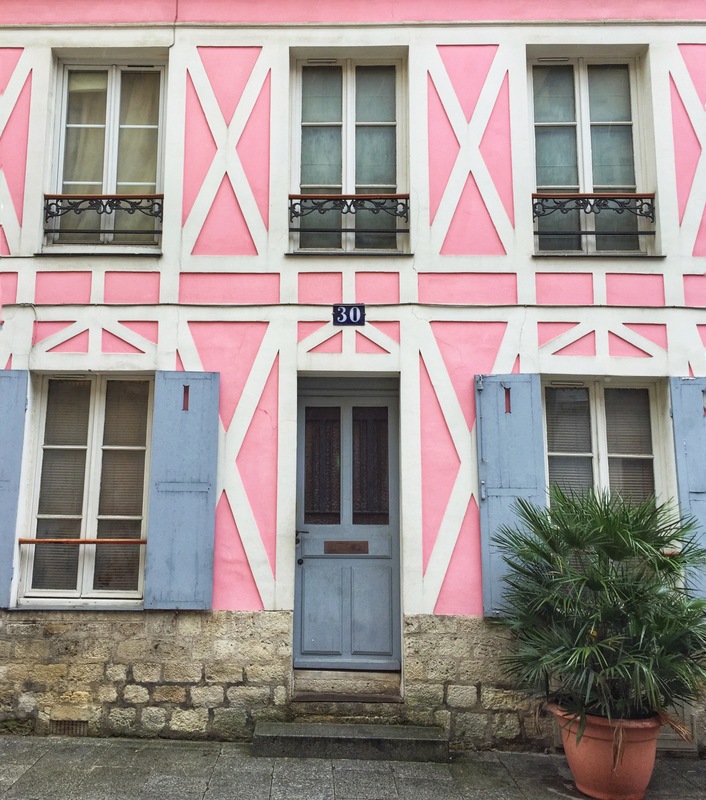 But have you ever heard of the Rue Crémieux? You might not have! 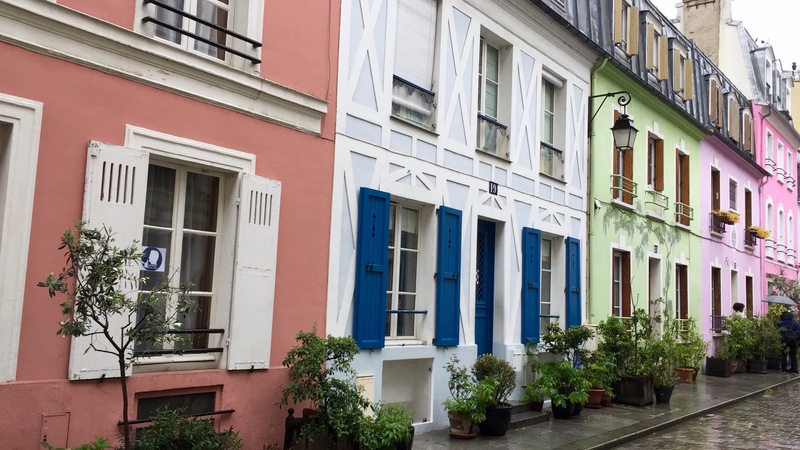 This colorful little street is located at walking distance from the Gare de Lyon and is relatively undiscovered till now. This might be because it is not clearly indicated on the map of Paris. When you get into the cobblestoned street, you immediately forget you are in Paris. Actually it reminded me more of the pictures I’ve seen from Burano (Venice) or my own visit to Portobello in London, or Colmar in France. 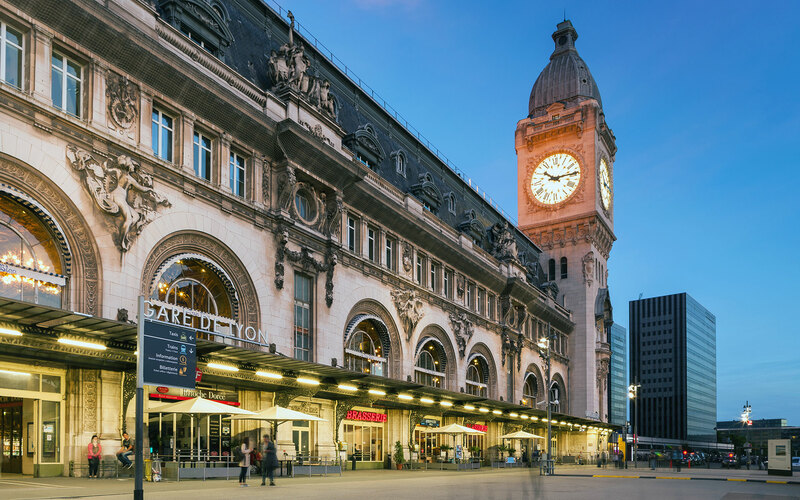 When you walk back to the Gare de Lyon, look up and notice the beautiful, giant clock tower. I had my lunch at Yummy & Guilt-free, which I discovered while randomly walking around. You can order normal and gourmet waffles, all gluten-free. There’s not much place to sit – I really got lucky! When the weather is better, you can definitely consider having your waffle by the Seine for example. Not everyone realizes this, but there are two islands in the middle of the Seine: Île Saint Louis and Île de la Cité. On the last one Paris was founded in the middle ages. No doubt you’ve been here if you’ve ever been to Paris, since the Notre Dame is located here. 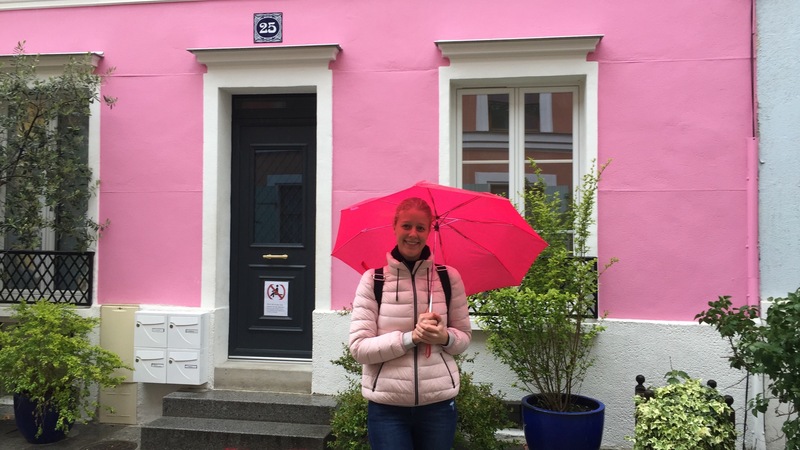 On the other side of the island, though, you’ll find two lovely squares: one is an oasis of green and the other super cosy with cute pink flowers. 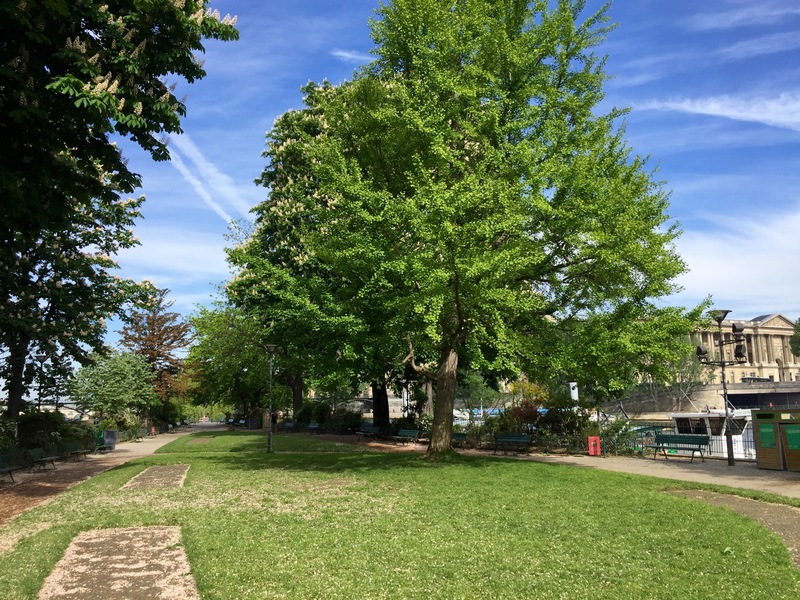 Square du Vert Galant is located at one end of the Île de la Cité and is truly a green oasis in the middle of the city. It must be a great picknick spot in the summer. 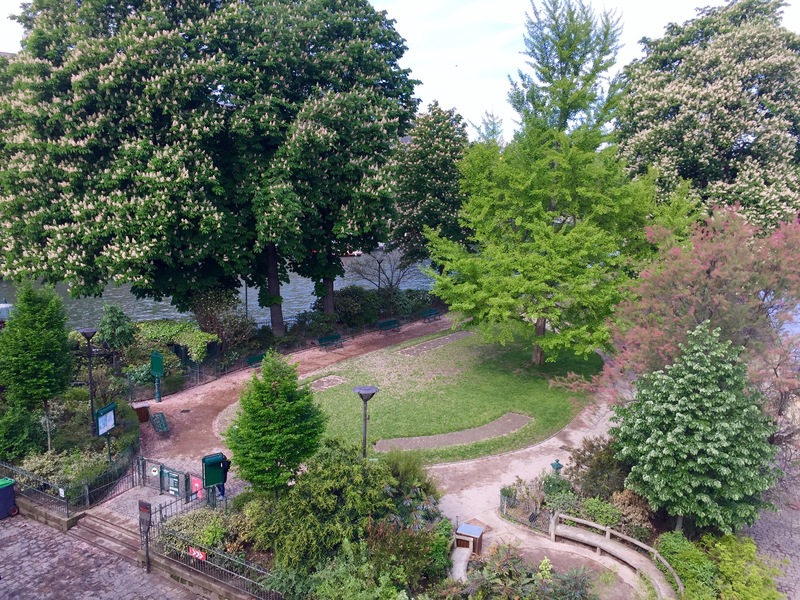 When you follow the signed towards the Seine cruises, you’ll also find the entrance to the park. It’s actually quite romantic when the sun’s out and the trees are freshly blooming in spring. From the outmost tip of the island you have a great view on the Louvre and the Hôtel de la Monnaie. Climbing back up the stairs, head over the nearby triangular square Place Dauphine. Even though it was pretty cold in the morning when I first came here, it was dry at least. Despite the clouds I also got my first rays of sunshine. Aside from Place des Vosges, this is the second royal square of Paris. And I do believe it has that “royal air” to it. 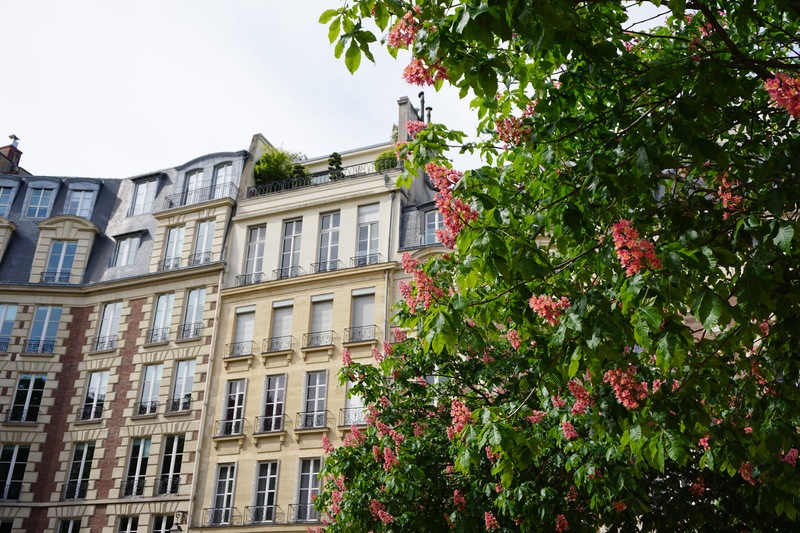 I loved the pink flowers that were blooming so beautifully in May and I thought it color-blocked beautifully with the pastel colors of the residences around the square. Paris in the rain can definitely still be fun! Hopefully, these tips will help you to make most of it.